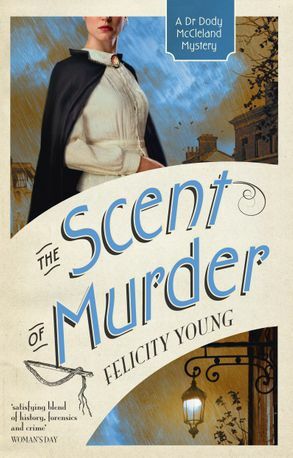 The third Dr Dody McCleland mystery ... Agatha Christie meets Phryne Fisher. For Doctor Dody McCleland, the unearthing of an ancient skeleton in a dry riverbed is a welcome break from the monotony of chaperoning her younger sister at a country house near the isolated hamlet of Piltdown. But when she begins her analysis of the bones, Britain's first female autopsy surgeon discovers they are much more recent - and they are the result of murder. With Chief Inspector Matthew Pike's help Dody begins to investigate. Soon she finds herself pitted against ugly traditionalism, exploitation, spectral dogs, a ghostly hunt and a series of events that not only threaten her belief in scientific rationalism, but threaten her life itself. Felicity Young was born in Germany and educated in the United Kingdom whilst her parents were posted around the world with the British Army. In 1976 the family settled in Perth. Felicity trained as a nurse followed by an arts degree. In 1990 the family moved from the city and established a Suffolk sheep farm in Gidgegannup WA. Here she studied music, reared orphan kangaroos and started writing.